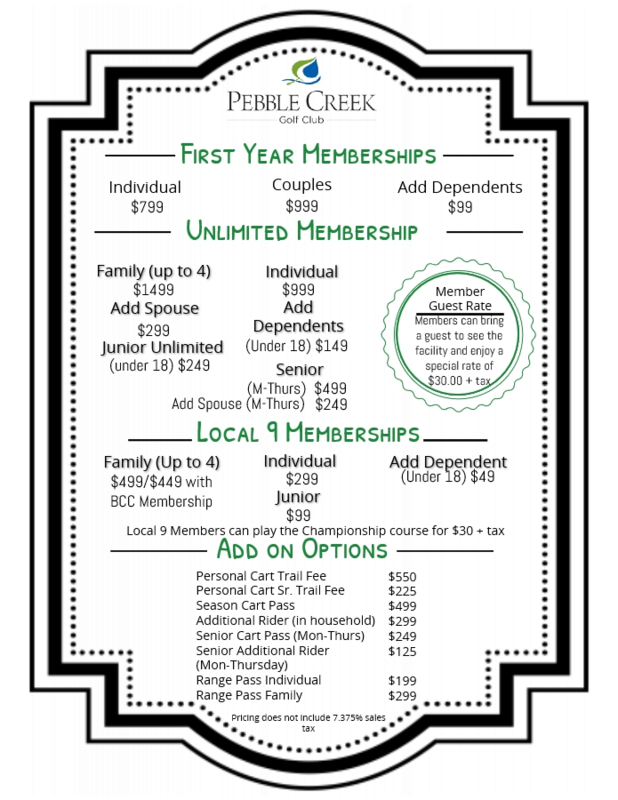 At Pebble Creek Golf Club we strive to create lasting memories for our guests. We feature a 4 ½ star championship golf course that is unmatched in our area. However, we offer far more than just great golf. Pebble Creek is the place to go for lively casual dining, breathtaking weddings and year-round activities and events. Always welcoming and open to the public, our mission is to create an atmosphere that guests want to come back to time and again. We invite you to explore and learn all the things that make our facility a true Minnesota gem. Take a look at our new membership information!